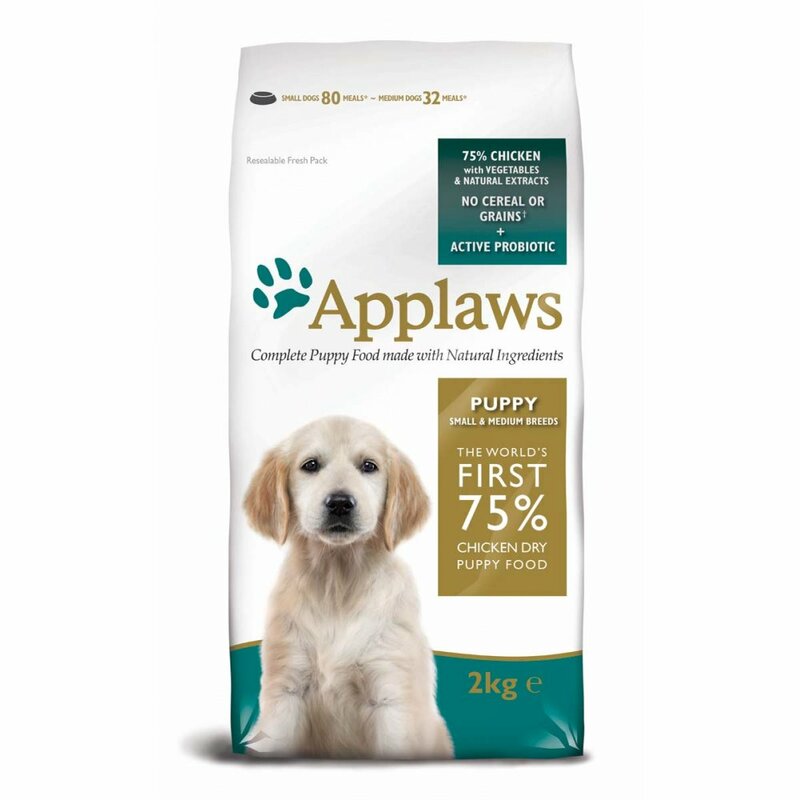 Applaws Puppy is an easily digestible dietary food for puppies of all breeds, and due to it being hypoallergenic, is suitable for those with allergies and digestive sensitivities. Contains a rich protein source derived from the high meat content (75%) and is low in carbohydrates to help puppies maintain a healthy weight, as well as combining a nutritional blend of vitamins and minerals to promote growth and development. Free from cereal- a highly indigestible ingredient often found in conventional dog foods, as well as artificial flavours, colourings and preservatives. Sodium Selenite 0.33 mg/kg, Calcium Iodate Anhydrous 3.26 mg/kg, Ferrous Sulphate Monohydrate 233 mg, Cupric Sulphate Pentahydrate 40 mg/kg, Manganous Sulphate Monohydrate 94 mg/kg, Zinc Sulphate Monohydrate 444 mg/kg. Natural Antioxidant: Mixed Tocopherols; Gut Flora Stabiliser: E1705 Enterococcus faecium cernelle 68 (SF68; NCIMB 10415) 1,000,000,000 cfu/kg. There are currently no questions for Applaws Small/Medium Breed Chicken Puppy Food - be the first to ask one!